WA.GP-W Multi-Pipe and Conduit Sealing through the same wall opening. Compression pipe seals, WA.GP-W seal pipe/conduit penetrations in new walls. 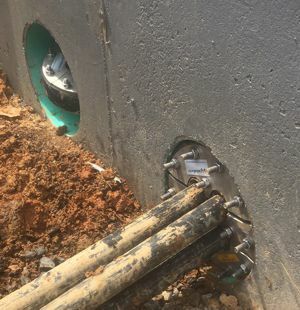 The only limiting factor on the number of pipes or conduit that may be sealed through the same opening, is the opening size and the total pipes or conduit through the opening. 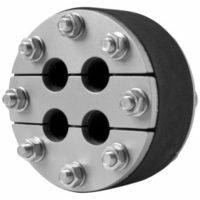 WA.GP.WK (split) models are used for sealing existing mutiple pipe or conduit that are already through the wall. 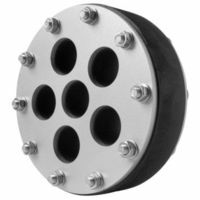 They provide water, gas ad smoke-tight sealing for pipe, cable or conduit through concrete walls. 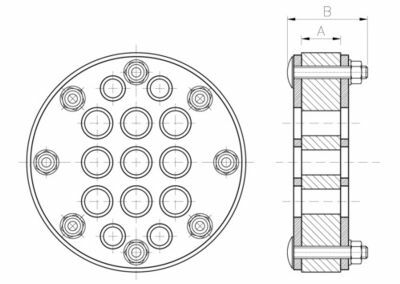 Seals consists of an elastomer disks and two stainless steel compression plates. 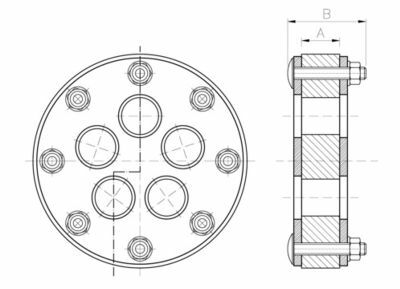 They are annular space seals for used on steel pipes, PVC, PE, Ductile Iron and power cables. 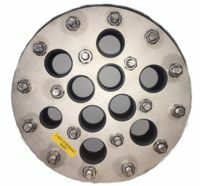 Pressure seal for up to 36 psi (2.5 bars) (80 foot head). 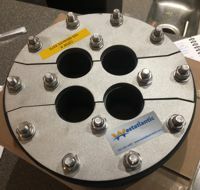 conduit seals, power cable seals, power station, electrical plants, power supply, electrical connection, waterproof connections, cable seals, building entry seals, multiple cable entry, USA and Canada, USA: Texas, TX, Houston, New York, NY, Illinois, IL, North Dakota, ND, Iowa, IA, Ohio, OH, Michigan, New York, NY, Utah, Arkansas, Kentucky, KC, California, CA, Colorado, Denver, Louisiana, LA, Florida, FL., Pennsylvania, PA. Wisconsin, WI. Canada, Ontario, Oakville, Toronto, London, Hamilton, Mississauga. Alberta, AB; Edmonton, Fort McMurray Calgary. British Colombia, BC; Kelowna, Vancouver, Prince Rupert, Kitimat. Saskatchewan, SK; Regina, Saskatoon, Prince Albert, Esrevan, Swift Current. Manitoba MB; Winnipeg, Thompson. Quebec, QC; Montreal, Quebec City, Trois-Rieviers, Chebougamau, Sherbrooke. QC, Alberta, Saskatchewan, Manitoba, Quebec, New Brunswick, NS, newfoundland.